For lengthy night visions surveillances it is advisable to use night vision binoculars, because at longer surveillance operations the use of a monocular would be exhausting for your eye. 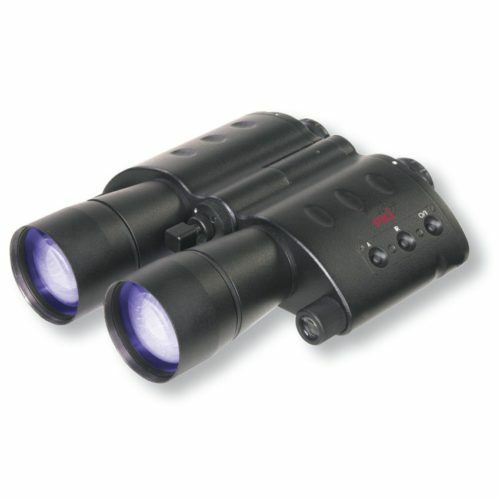 The PKI 5350 is one of the best night vision binoculars with an image intensifier tube of the 1st generation. It is rare to find something comparable, where design and easy handling have been combined so perfectly. The PKI 5350 features an integrated infrared light which can be switched on additionally at low light conditions. It is especially useful for security agencies, hunters, nature lovers or private ship-owners. The PKI 5350 is equipped with automatic ON/OFF function and can be controlled via three buttons.